It is without a doubt that online shopping is a mainstay for many consumers. It is easy, convenient, private, and practical. For a busy professional like me, who lives abroad, I shop online quite frequently. I love the convenience of being able to shop whenever I want while maintaining relationship with quality brands I enjoyed in the US. Recently, I happened upon beautysak.com. 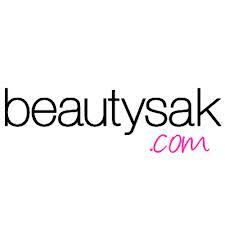 BeautySak.com is an online retailer offering familiar beauty brands at affordable prices. BeautySak.com has something to tickle your every fancy. 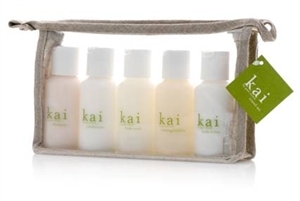 They offer wide array of products for hair, nails, bath & body, make-up, fragrance, home, and for the special beau in your life. I think what most consumers like most about BeautySak.com is the availability of their favorite brands. For me, I am able to stockpile my favorite Carol's Daughters products along with Kai, and travel accessories because I am always on the go. 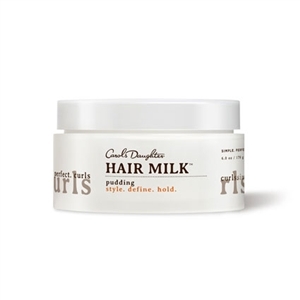 Additionally, one of my colleagues recently introduced me to the Carol's Daughter's Hair Milk Pudding. The product is rather light, spreads easily among my tightly coiled hair, and smells great. My colleague likes it because it helps her coils to pop with beautiful definition. Beautysak.com offers over 10 of Carol's Daughters products. Beautysak.com also carries two of my other favorite brands; Phyto and Rx Skin Therapy. If any of you remember me from my days on hair boards, then you know that I am indeed a product junky. I have tried to recover on many occasions and failed miserably. Being a member of three of the most active hair boards online led me to Phyto products. Phyto works for my hair because they are moisturizing and gentle. On Beautysak.com, I find that the prices are quite competitive with mall based beauty stores minus the hustle of traffic and parking. This post could go on forever, but I will bit adieu with my last Beautysak.com highlight; Rx Skin Therapy. I have had problematic skin on and off since puberty. Because of PCOS, I have breakouts due to hormonal imbalances. How fun right? Not. However, one brand that helps to keep my skin in balance is Rx Skin Therapy. The skin firm serum from Rx Skin Therapy helps to keep my skin dewy within the harsh Middle Eastern climates. It gives me a youthful glow which keeps many guessing my age. Overall, BeautySak.com is my go to source for beauty products. They offer an array of products, at affordable prices with quick and convenient shopping. Try BeautySak.com and it will forever change the way you shop for beauty products online. This is a sponsored post but all opinions and unique to me. Tags: "beautysak.com" "beauty products" "Carol's Daughter" "Phyto" Rx Skin Therapy"